NXT TakeOver headed to Toronto in November - Good news for the WWE fans in the great white north, NXT is headed to WWE "bizarro-land," a.k.a. Toronto. The Week In British Wrestling: PROGRESS & ICW build to big shows - It's the calm before the storm across the Atlantic in Great Britain as PROGRESS and ICW prepare to blow off some steam. WOR: Joe Silva leaving UFC, Smackdown, Del Rio, Daniel Bryan, huge news show 9/1 - Dave Meltzer and Bryan Alvarez bring you all the latest news in the world of combat entertainment. TNA Impact Wrestling results: Bobby Lashley vs. The Miracle - Can Bobby Lashley pull of a "Miracle"? Find out by reading the results from TNA Impact. Daily Update: Daniel Bryan shoots, CWC highlights, Silva's departure - If yesterday was the day you dropped your iPhone in the sink, then catch up on what you missed while you were off line. UFC 203: CM Punk & Mickey Gall conference call audio - CM Punk and Mickey Gall hype the fight of the... month, maybe. Find out if it will be the humble Phil Brooks or the confident CM Punk who enters the cage. 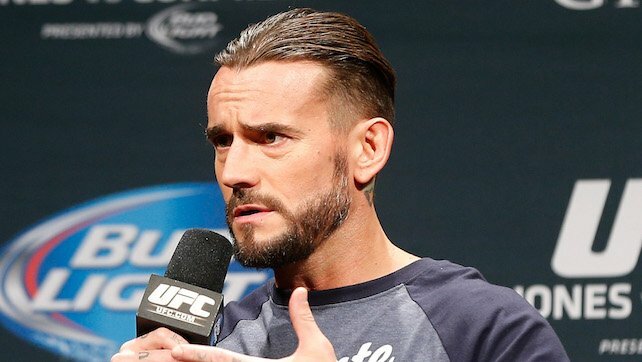 CM Punk: 'I’m not trying to talk anybody into the building on this one' - How did CM Punk predict his fight would go? There are no WWE house shows this weekend, nor NXT shows. WWE returns to action with Raw on Monday from the Sprint Center in Kansas City. Smackdown will be Tuesday night from Lincoln, NE. Figure Four Weekly: 8/29/2016, NWA vs. Department of Justice - Recently, as an outgrowth of my interest in public records, court records, and so on, I started to get into the habit of filing Freedom of Information Act (or "FOIA") requests with various United States government agencies. It was the same fascination that took me to the court records; There's stuff out there, just waiting to be seen, that nobody was looking at... Subscribers click here to continue reading. Wrestling Observer Newsletter: September 6, 2016: Kevin Owens wins WWE Universal Title, Joe Silva leaves UFC, tons more more - Kevin Owens captured the WWE Universal title in a four-way elimination match on 8/29 in Houston as part of the company’s latest reset. HHH returned for the first time since WrestleMania, single-handedly winning the match by giving both Roman Reigns and Seth Rollins pedigrees and basically handing the championship to Owens in the latest version of The Authority handing out the championship instead of talent winning it... Subscribers click here to continue reading. WON BACK ISSUE: August 2, 1999, Vince McMahon comments on Bret Hart, WWF Fully Loaded review, more - While nobody in their right mind believed that they'd heard the last of Vince McMahon vs. Bret Hart, McMahon went out of his way to goad Hart into responding with blistering comments on TSN's "Off the Record" talk show, which was taped on 7/22 and aired on 7/27... Subscribers click here to continue reading. 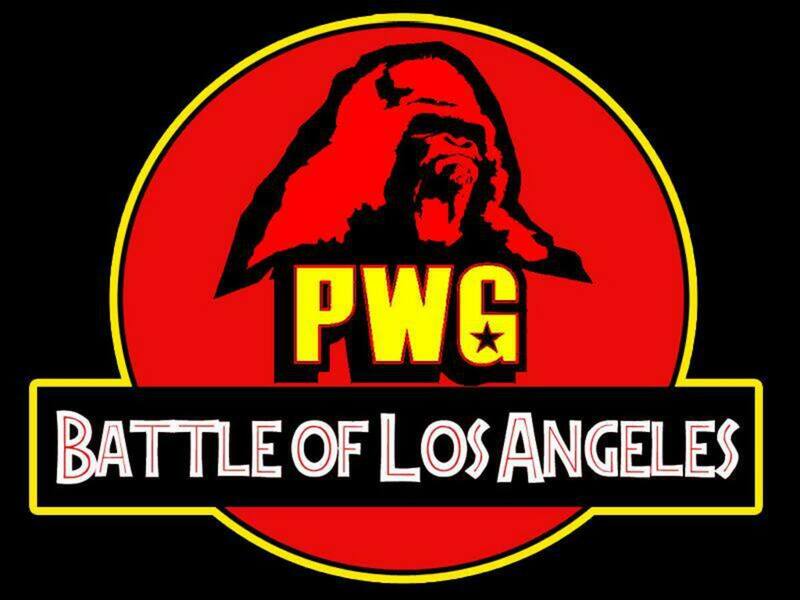 Pro Wrestling Guerrilla’s Battle of Los Angeles kicks off tonight in Reseda, CA. The second night of the tournament will take place on Saturday, with the winner being crowned on Sunday. The full list of participants in the loaded field can be seen here. 2016 Battle of Los Angeles First Round Match: Tommy End vs. Zack Sabre Jr.
Sunday’s card will be determined by the results of the first two nights. In an interview on AXS TV, CM Punk said Vince McMahon hasn’t contacted him about his debut at UFC 203 and claimed that McMahon is “currently bankrolling a lawsuit” against him. The comment is in reference to a defamation suit filed against Punk and Colt Cabana in 2015 by WWE doctor Chris Amann in response to comments Punk made about Amann on an episode of Cabana’s podcast. On today's edition of the MSL & Sullivan show on MLW Radio, host Mister Saint Laurent alleged that Alberto Del Rio and Paige getting drafted to separate brands was an attempt to separate them, and MSL claimed that WWE threatened to fire Paige if she didn’t break up with Del Rio. America Alpha were featured as the guests on this week’s edition of Michael Cole’s regular interview series on WWE.com. Rusev and Lana’s second wedding, held in Bulgaria, took place today. In a video on their YouTube account, WWE names The Rock, The Undertaker, Luke Harper, and Emma as the four hottest available free agents. WWE.com has an interview with Ember Moon about her journey to NXT. Headlined by La Mascara vs. Dragon Lee in a mask vs. mask match, CMLL’s annual anniversary show takes place tonight at Arena Mexico. The show won’t air live, but will be available as an iPPV on YouTube on Saturday. CHIKARA’s King of Trios will take place this weekend as well, and the promotion tweeted that Hornswoggle is out of the tournament due to an injury. Before he joins the NXT roster on a full-time basis, Tommaso Ciampa bid farewell to Chicago’s AAW Wrestling on Thursday night with what was said to be an emotional farewell speech. Video of fans and colleagues sending him off by singing his “Psycho Killer” theme song can be seen here. Tomohiro Ishii will appear at November’s Revolution Pro and New Japan Pro Wrestling co-branded Global Wars shows. ESPN’s Brett Okamoto tweeted that he’s hearing things are quickly moving in the direction of Robbie Lawler vs. Donald Cerrone at UFC 205 at Madison Square Garden on November 12th. In what was a formality, the UFC’s parent company has officially been granted a promoter’s license by the New York State Athletic Commission ahead of their MSG show. Dong Hyun Kim vs. Gunnar Nelson will headline UFC Fight Night in Belfast on November 19th at the SSE Arena. 2 - MOONSHINE BRANDED WRESTLING: Italo-Canadian Hall, 1101 DiPietro Street, Fort Erie, Ontario, Canada. Doors at 6:00pm bell time 7:00pm. Tickets. 2 - 559 Fights has its 50th show in Visalia, CA at the Convention Center. 2 - Rockstar Pro Wrestling iPPV from Dayton, OH at the Rockstar Pro Arena with Sami Callihan vs. Dave Crist, Dezmond Xavier vs. Zachary Wentz vs. Matt Cross and more. 3 - I Believe in Wrestling returns to the Team Vision Dojo in Orlando, FL. 3 - CWF presents Live Pro Wrestling at the CWF Wrestling School on 20 Hartzel Rd in St Catharines, ON. 6 - SMASH-WRESTLING, Oshawa Music Hall, 39 King St E, Oshawa, Ontario L1H 1B2. Tickets.